“Access Denied” when saving a file ? Does not install any software, just sets some registry settings to enable the menu shortcut. Additionally, it provides a proper uninstall option. Works in Windows XP, Windows Vista, Windows 7, Windows 8, Windows 8.1, Windows 10, Windows 10 Creators Update (and equivalent Server versions). Prerequisite: Your user account must be part Administrators group or you know Administrator password to install. 1. Tip! Back-up your registry as a precaution. 3. 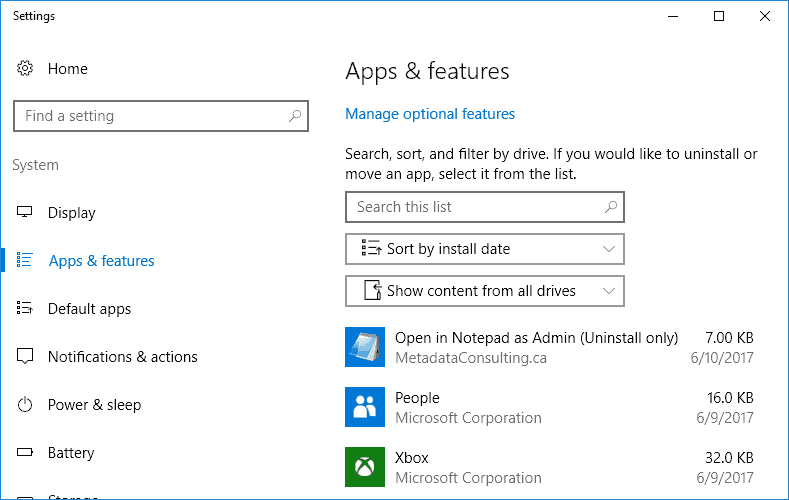 Simply, right-click onOpeninNotepadAsAdmin2017.inf and click Install, that’s it. 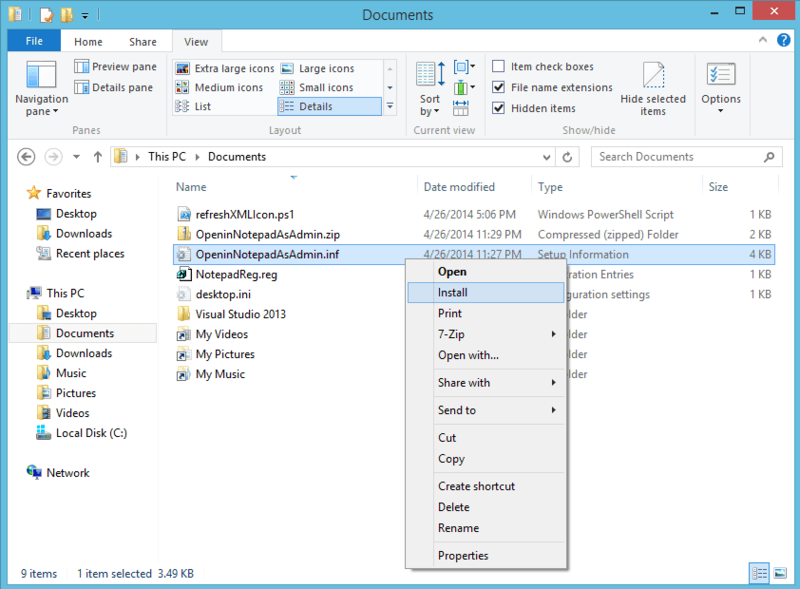 To test this now right-click on a any file and you see the new context menu “Open in Notepad as Admin” option! You’ll get an escalation in privileges User Account Control (UAC) promp to allow editing of this file as Administrator. Yes, to edit. 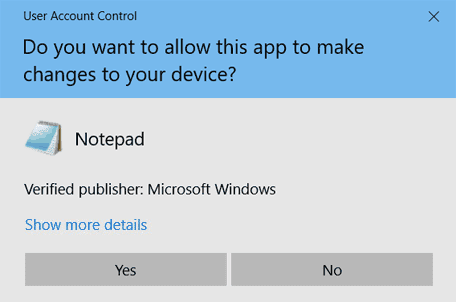 Why are you getting this UAC if your account is in Administrator group? As an administrator, you have the credentials to perform administrator functions. On Windows 7+, an administrator account does not necessarily run a program with administrator privileges, programs are still run in a secured mode. It’s meant to prevent unintentional changes on the system. The great thing about this script file, is it creates a uninstall option. 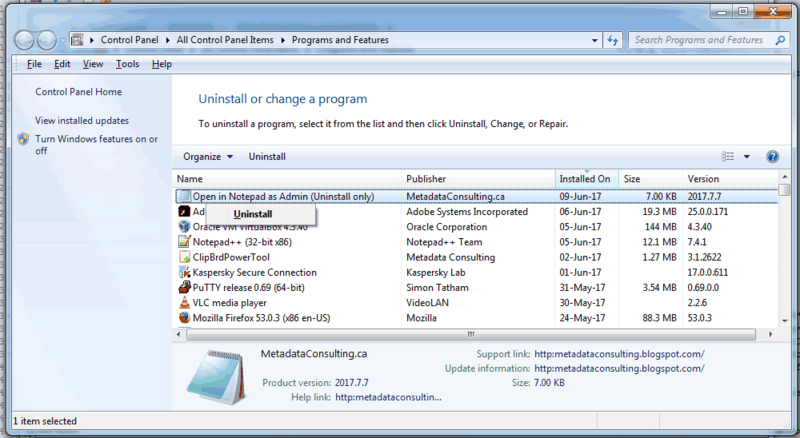 Search for “Add or Remove Programs” or goto Programs and Features, and right-click on the “Open in Notepad as Admin (Uninstall only)” and choose Unistall to completely remove. 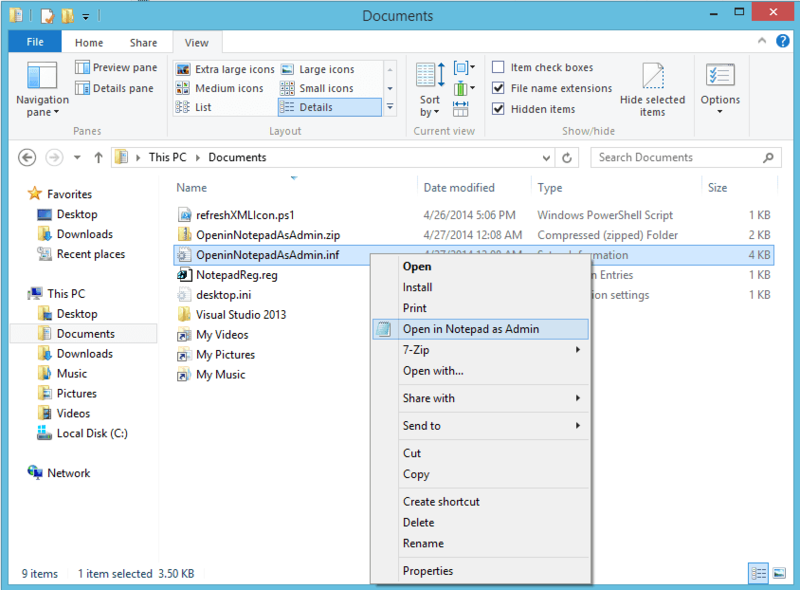 Related Posts of "Edit with Notepad As Administrator Shortcut to the File Context Menu in Windows 10"